Footgolf is growing in popularity at an phenomenal pace and as such Footgolf Courses are needing to be smarter in how they manage their marketing operations. Footgolf Courses need to ensure their courses receive visibility to reach potential Footgolfers to become popular and profitable businesses. With Footgolf’s popularity only set to continue and the changing marketing landscape it means that Footgolf Marketing will become more competitive. Make sure your course is prepared and stays ahead of the competition. Don’t lose out on potential business because your website is out-of-date or poorly designed. Ensure you have a visually impressive, responsive and mobile-friendly website that will attract Footgolfers. Website design doesn’t have to be expensive. Our service cost includes domain name purchase (if necessary), setting-up a low-cost hosting solution for your business and provides you with dedicated email addresses. 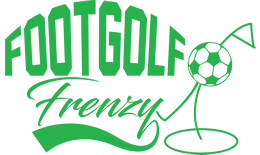 We offer an online booking system which has been specifically designed for Footgolf Courses. Our system takes bookings, allows you to add bookings manually and also allows your course to sell equipment and catering. Click here to find out more about the Footgolf tee time booking system. If you would like to know more about our marketing services, then please contact us with any questions your may have. Also, if you are wondering about our skills, experience and knowledge in marketing, then just drop us and email and we will be happy to show you the experience we have.